Slips and falls in the workplace represent more than a trivial problem. According to research in the United States by the Liberty Mutual Research Center for Safety, same-level slips and falls represent nearly 11 percent of all workers’ compensation claims and more than 13 percent of all these injuries are second only to manual material handling and holding loads, which represent 37 percent and 40 percent respectively. In Australia, based on workers’ compensation data for 2004-05, total direct costs due to serious claims for slips, trips and falls on the same level in Queensland were $46.3 million. The average cost per claim was $11,100. There are costs for the employer, including an increase in workers’ compensation premiums, payment of any excess and lost productivity, plus financial, physical and emotional costs for the injured worker and their family. A period off work and restrictions on the worker’s usual home and leisure activities can have significant effects on their general wellbeing. For most industry groups, slips and falls represent the highest, or second highest type of workers’ injuries claims, and, interestingly, employees cite this injury as the one of which they are most afraid. 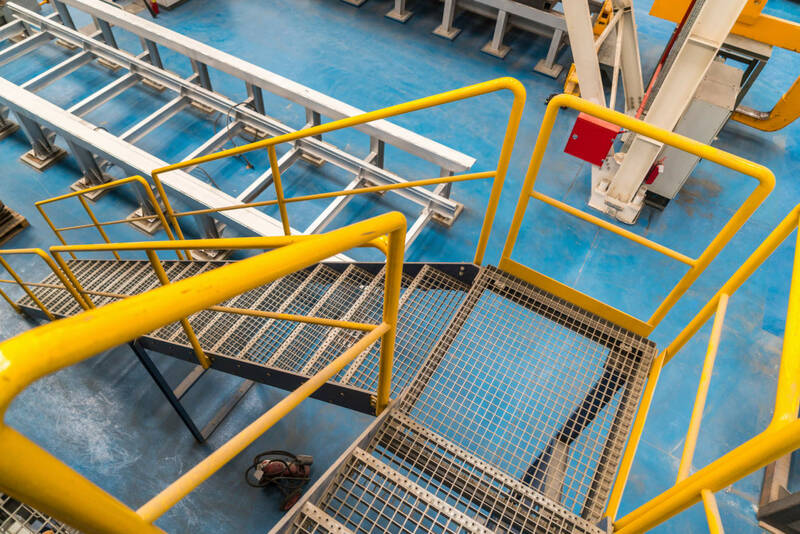 It’s important to understand how slips and falls occur, and this article explains their causes using the science of tribology, and explains how an effective prevention programme can reduce or eliminate those causes. There are some interesting statistics about the about associated costs of slips and falls, and the perception among business executives about the extent of the problem. In reality, the direct cost represents $4.4 billion, or 11.46 percent of the total $38.7 billion – second behind overexertion. According to an executive survey, however, most executives perceive such falls to be much less of a problem – the seventh most important cause overall. Causes are complicated, and involve several sciences and disciplines. These disciplines include ergonomics, biomechanics, psychology and tribology. Ergonomics is involved in slips and falls in several ways. Tasks performed have a direct effect upon the force characteristics associated with a person’s behaviour, movement patterns and gait (walking patterns). Slips and falls occur most frequently in the elderly. Two reasons explain this. First, as we age, reaction time slows. When younger people sense or perceive a heel slip, they recover quickly. Older people recover more slowly, and that split-second delay is the difference between recovery and a fall. Also, as we age, we may become more unsteady on our feet. Second is muscular strength. Several different muscle groups are employed to recover from a slip and we take for granted how strong these muscles must be to recover. The elderly have less strength in these muscles and, again, are less physically able to recover from a slip. Biomechanics involves the study of the mechanics of the body, and how we walk and interface with surfaces as we walk. This information is helpful in understanding the dynamics of slipping and at what point a fall might occur. For example, a micro slip of 0-3 cm is generally undetected, while a slip of 3-10 cm may result in corrective action being taken, usually without a fall. A slipping distance over 10 cm usually results in uncontrolled forward movement and most often results in a fall. Psychology is how we perceive and respond to slippery conditions. For example, when a person perceives a slippery condition (e.g. walking on ice), that person will adjust his or her gait to prevent a slip. A problem often occurs when a person does not perceive a slippery condition, does not adjust his or her gait, slips unexpectedly, fails to recover and falls. A good example is when there is spilled water, grease or oil on the floor, or the age-old example of a banana peel on the floor. Tribology is the study of the interaction of sliding surfaces and is derived from the Greek ‘tribos’, meaning rubbing. The field of tribology includes the analysis of friction, wear, lubrication and application of these principles to mechanical design, manufacturing processes and machine operation. More recently, tribology has been applied to slips and falls, where it is commonly associated with friction between the shoe sole and the floor surface, lubrication at the interface or contaminate on the floor surface, and wear of floor surface and shoe sole material over time. All three are considered when assessing the potential for slips and falls, and support why controls for slips and falls are so important. Friction is defined as the resistance to movement of one body over another, and is described here as the interface between shoe sole and floor surface. The coefficient of friction (m) is defined as the ratio between friction force (F) to normal force (FN) or mathematically expressed as: sole and floor surface. The coefficient of friction (m) is defined as the ratio between friction force (F) to normal (FN) force or mathematically expressed as: characteristics by offering sharp peaks, which contact the shoe sole material. Coefficient of friction values can be interpreted as .5 or less (relatively slippery), .5-.6 (generally acceptable), or .6 or higher (relatively not slippery). Friction depends on: • Contaminates on the floor • Floor surface material • Surface finish • Shoe sole material • Surface finish on the shoe • Shoe sole tread pattern Friction or traction between the shoe and floor depends on all these factors. For example, we know that water tends to decrease the coefficient of friction, therefore increasing the chances of falling. How much? That we don’t know, because it depends on floor surface, shoe material and other factors. This is why it’s difficult to predict when slips and falls will occur. Listed below is some assistance for prevention of slips, trips and falls. 1. Employers should consult with workers when going through the steps of this process. 2. Inspect the premises. Checklists may be helpful in identifying the sources of typical hazards. A slips, trips and falls on the same level checklist for a specific workplace can be developed. Start by making a list of the locations of concern. For each location, record anything that could be high risk. Ask workers for their input when preparing the checklist, as they will know about any potential risks from their experience of doing the task. Pay particular attention to the following: • Floors and grounds • Housekeeping and cleanliness • Cleaning and maintenance methods • Lighting • Stairs, ramps and sloping surfaces • Walkways • Tasks being undertaken • Footwear High risk areas are: • Where surfaces are wet and/or oily • Where external grounds are slippery or are uneven • Sloping surfaces • Work areas where lifting and carrying tasks, and some other manual tasks, such as pushing and pulling are performed • Any area where the pace of work causes people to walk quickly or run • High pedestrian traffic areas • Where there are constant changes to workplace conditions, such as building sites • Unfamiliar locations, such as patient or client homes • Accident locations that have not been secured and cleaned up 3. Check records including incident and injury reports, near miss reports, workers’ compensation claims, and workplace inspection checklists. Having identified hazards, the risks arising from them should be assessed. Risk assessment involves determining the likelihood of an incident occurring, and the level of harm that could result. There is not likely to be a single cause for a slip, trip or fall on the same level, and each cause needs to be assessed – look for torn carpeting or broken tiles. It is important to set a priority for the elimination of hazards. For example, the provision of good slip resistant footwear alone is not sufficient protection against slipping on smooth floors with oil or grease on the floor. The first priority should be to avoid the spills. If this proves impractical, suitable slip resistant flooring should be installed. Good footwear is also part of the solution. The most serious risks need to be dealt with first. The risk assessment should provide detailed evidence about what contributes or could contribute to incidents involving slips, trips or falls on the same level. Use the risk assessment, in consultation with workers, to determine the best means of eliminating or controlling risks. Document this information and the conclusions in a risk control plan. Controls or solutions must be applied in a particular way, with the priority being to consider design or engineering controls that eliminate the risk. The following controls must be implemented in the order specified to reduce the risk to the lowest level of risk that is reasonably practicable. If a single measure is not sufficient, then a combination of the above measures must be taken to minimise the risk to the lowest level reasonably practicable for that purpose. For example, it is desirable to install the most appropriate slip resistant floor, have staff wear appropriately enclosed footwear with slip resistant soles, and use cleaning methods that do not introduce a slip hazard. Take action to prevent fluids spilling on the floor and promptly clean up spills if they happen. If hazards remain after a control is used then additional controls must be applied. A control measure is something you do to reduce risk. It can be a process, procedure or action that will eliminate or reduce the risk posed by specific hazards. Control measures for risks identified should be developed and implemented in consultation with workers. During consultation with workers, attention should be given to hazard identification and risk controls in unfamiliar locations, e.g. when workers work off site, or at clients’ homes or offices. Making design changes to the workplace can eliminate many slips, trips and falls on the same level hazards. The ideal way to eliminate the problem of slips, trips and falls is to design and build workplaces with safety and comfort in mind. When new facilities are to be built, or existing facilities upgraded, it is an opportunity to avoid many common hazards. When designing a workplace, identify potential slips, trips and falls hazards. In consultation with workers, analyse the tasks to be done by workers and the circumstances in which they will be done. Movement paths of people and materials should be planned and discussed with architects and workers. Providing suitable storage space will help avoid material being placed in work and traffic areas. Consider the slip resistance of the floor surface. When the flooring itself is identified as a hazard, and installing new flooring is not practical, there are a number of floor treatments that are designed to be used on existing flooring. This is a less expensive option than installation of completely new flooring. This would be false economy, however, if the treated floor lacks sufficient improvement. Treatments most likely to be successful are those that substantially increase the surface roughness of the flooring. Be sure a floor treatment doesn’t introduce a new hazard. Minimise changes in the floor level. If levels must change, pedestrian connections are preferably by ramp rather than steps. Avoid sudden changes in floor surface texture where possible. Where such changes do occur, ensure good lighting and visual cues to the changes that are in place. When footwear in the workplace cannot be controlled, e.g. where the public has access, an effective strategy must be put in place, such as installing softer flooring like thicker vinyl, cork or even carpet. Increasing the roughness of surfaces can increase the slip resistance of floors. For example, concrete finished with a steel trowel is much smoother and therefore more slippery than concrete finished with a wooden float or with a broom. Products that increase the surface friction will need to be maintained in accordance with the manufacturer’s specifications. Most countries have standards for stairs, walkways, stairways and ladders that assist with their design, construction and installation. Ramp design Install ramps in preference to stairs if there is space to make the change in level without too great a slope. Ensure the slope of a ramp conforms to the appropriate country’s Standard and Building Code specifications. The maximum ramp slope should be one in eight, or one in 14 if people with disabilities will need to use the ramp. Apply flooring of greater slip resistance on ramps than that used on level flooring. Provide clear visual cues for the start and finish of the ramps, ample lighting above the ramp as well as a suitable tread pattern in the flooring. Provide handrails on ramps, as for stairs and provide curbs of at least 100 mm high on both sides to prevent trolleys running off the edge. Ensure both internal and external stairways and walkways are well lit. Lighting levels should accommodate changes in conditions, such as transitions from closed to open areas. Refer to the standards on interior and workplace lighting for further information. Provide a means of containing and draining water or other fluids at machines or processes as required. If there is a substantial amount of fluid, provide channels in the floor covered by gratings. Use gratings as flooring if the work task is very wet and/or greasy. The surfaces should be slip resistant and not introduce a trip hazard with uneven surfaces. Flooring that needs to be washed or that will be wet at times, should be graded to drainage points to minimise pooling of water. The location of drains should be as close as possible to any source of liquid and there should be adequate drainage points provided to avoid excessive changes in floor level due to grading. Use molded floor tiles with deep profiles for draining fluids. These profiles are most effective if the edges of the patterns are sharp. Special equipment, such as high pressure water sprays, may be needed for cleaning such tiles. Build up of hardened grease or dirt can make high profile tiles ineffective. Of course there are weather conditions that have to be considered as well as other effects of outdoor environments: consider rain, wind, ice, snow and blowing sand. Vegetation, such as moss on external paths can be slippery, particularly in wet and shaded areas. Use commercial products to effectively remove these contaminants. Tree roots, leaf litter and wet grass can present slips, trips and falls level hazards too. Good maintenance can reduce these risks. Slips, trips and falls are a major issue that must be addressed by management in order to maintain a healthy and reliable workforce.